Painting of a ferret using Procreate on an iPad. I uploaded it to Youtube in January. My daughter is mad on ferrets so I took a few photos of them one afternoon. They are impossible to photograph, by the way. They never stop moving, and they move fast. Except for the smell, they are quite fascinating creatures. The video shows a time lapse painting done from one of the blurry photos. It was done in Procreate on an iPad using a cheap pen stylus that I got for free from somewhere. It has a ballpoint pen on one end for writing and a big rubber tip in the removable cap, to use as a substitute for a finger on touch-sensitive devices like smartphones and tablets. It also includes a tiny LED torch in the other end. The pen is not pressure sensitive but it is marginally better than painting with a finger. Blogging is somewhat on the backburner as my art life has taken a bit of a left turn. I haven't picked up a paint brush for a very long time but have spent a lot of time restoring 400-day clocks. They are among the most frustrating of timepieces, and are widely despised by professional clock repairers, but my wife loves them and I seem to enjoy bringing them back to life. We now have almost 40 of them running and we really need a lot more. 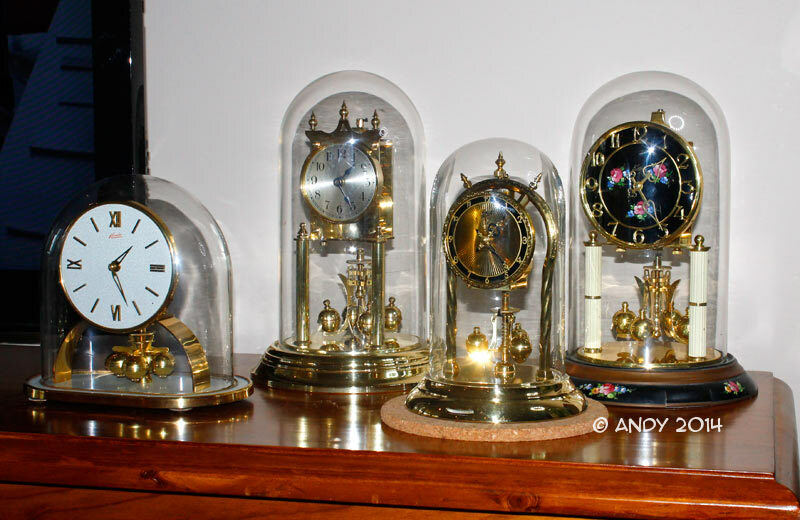 If you have one of these clocks, also called dome clocks, torsion clocks or anniversary clocks, and if you don't want it any longer, then please drop me a line. Or if you know where there is one (in WA) that someone is throwing out or selling, then please let me know that too. My digital art life has also taken a lot of my time. Late last year I delved into motion graphics and worked on a few TV and cinema commercials and this year I have been teaching animation at the local TAFE which has been a blast. I have had an interest in animation since I was a kid and can remember animating plasticine and Lego in my teens, using a super-8 movie camera. A bit over ten years ago I discovered 3D animation and had some of my work published in guides for Blender, including writing two chapters for the official guide. I was also technical editor on another Blender guide book. The opportunity to teach animation has been amazing. Soooo, anyway, that's why I haven't been blogging or making plein air painting videos. What I do hope to do, one day, is to take the iPad out into the field, and do some digital plein air sketches and paintings.